We are over the moon with the new look of our bathroom. In the hot, humid weather of Delray Beach in Florida, there are many reasons homeowners may struggle to keep their bathrooms looking fresh and up to date. Perhaps they have moved into a home that has been empty for several years, or maybe they just don’t feel like the room is as nice as it used to be. Over time, design choices can start to feel dated or no longer appropriate. 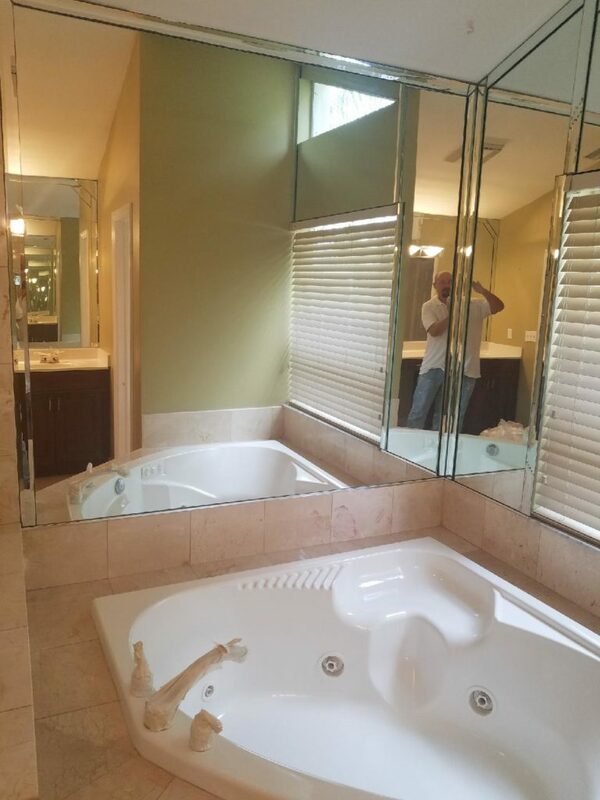 This is where bathtub reglazing in Delray Beach can make a big difference. At Artistic Refinishing, we know how to revitalize your bathroom without needing to complete a total renovation. For many homeowners who are dissatisfied with their Delray Beach bathroom, they may feel like renovation is their only option. When renovating a bathroom, however, the project often takes longer and becomes more complicated than homeowners expect. Removing fixtures can damage the subfloor and studs, which then need to be repaired, and the process can leave the bathroom unavailable for several days. Instead of tearing everything out and starting over, reglazing can be completed with tubs, sinks, surfaces, and cabinets. If your fixtures work well, but just need refreshing or refinishing, reglazing is the perfect treatment to give you a durable, nonporous surface moving forward. This will help you avoid damaging the finish with minor drops and bumps. And having a nonporous surface is key in Delray Beach’s tropical rainforest climate is key. Even the most carefully climate controlled home can begin to have problems with stains if the tile, grout, or bathtub surface is scratched or damaged. Once stains begin to grow, even if you can remove the mess itself, removing the stains it leaves behind is often impossible. Reglazing, however, can cover those stains and make it less likely you will have future growths to deal with. If you’re ready to find out how bathtub refinishing and reglazing can revitalize your bathroom without all of the hassle involved in a full renovation, contact Artistic Refinishing. We will work with you to make sure you understand your choices about finishes, application techniques, and final results. We will answer any questions you have about the process and provide you with a free estimate of the final service. With 30 years of experience in South Florida and multiple awards from Home Advisor, we know what our customers need to be completely thrilled with our services. Contact us today to get a free estimate and learn more about reglazing in your bathroom.